Marissa is an Education Focused course coordinator and lecturer who is primarily responsible for teaching large first year courses. Marissa is passionate about higher education and both staff and student well-being, and has a particular interest in enhancing the first year student experience. Currently her work is focused on exploring how to reduce mental illness and encourage wellness in academic settings. Marissa has considerable experience as a researcher, project manager, seminar presenter, and educator, and has worked with a number of government departments in addition to consulting to not-for-profit organisations. She has a variety of research interests, including mental health and well-being in academia; ethics and decision-making; healthcare management; mental health promotion in organisations; and social justice initiatives. Edwards, Marissa S. and Gallagher, Erin C. (2018) Oh, behave! Insights and strategies for teaching business ethics to Gen Y students. E-Journal of Business Education and Scholarship of Teaching, 12 1: 1-18. Voice and Silence in Organizations. Edited by Greenberg, J. and Edwards, M. Bingley, UK: Emerald Group Publishing, 2009. What is insidious workplace behavior? Edwards, Marissa, Ashkanasy, Neal M. and Gardner, John (2009). Deciding to speak up or to remain silent following observed wrongdoing: The role of discrete emotions and climate of silence. In J. Greenberg and M. Edwards (Ed. ), Voice and Silence in Organizations (pp. 83-109) Bingley, United Kingdom: Emerald Group Publishing. Edwards, M. and Greenberg, J. (2009). Sounding off on voice and silence. In Greenberg, J. and Edwards, M. (Ed. ), Voice and Silence in Organizations (pp. 275-291) Bingley, UK: Emerald Group Publishing. Brinsfield, C. T., Edwards, M. and Greenberg, J. (2009). Voice and silence in organizations: Historical review and current conceptualizations. In Greenberg, J. and Edwards, M. (Ed. ), Voice and Silence in Organizations (pp. 3-33) Bingley, UK: Emerald Group Publishing. Edwards, M. and Ashkanasy, N. M. (2008). Integrative case study: Diagnosing Queensland health. In S. P. Robbins, T. A. Judge, B. Millett and T. Waters-Marsh (Ed. ), Organisational Behaviour 5th Australian ed. ed. (pp. 290-292) Frenchs Forest, N.S.W. : Pearson Education Australia. Edwards, Marissa S. and Gallagher, Erin C. (2017). ‘Oh, Behave!’ Insights and strategies for teaching business ethics in the undergraduate classroom. In: Australian and New Zealand Academy of Management, Melbourne, Australia, (). 5-8 December 2017. Edwards, M. (2008). The conceptualisation and measurement of whistle-blowing: A new way forward. In: Wilson, M., Proceedings of the 22nd ANZAM Conference 2008: Managing in the Pacific Century. 22nd ANZAM Conference 2008, Auckland, New Zealand, (1-15). 2-5 December, 2008. Edwards, M. S. and Ashkanasy, N. M. (2008). The role of discrete emotions and organizational climate in employee silence and whistle-blowing. In: 2008 Annual Meeting Program. 68th Annual Meeting of the Academy of Management, Anaheim, California, (). 8-13 August, 2008. Edwards, M., Ashkanasy, N. M. and Gardner, J. (2007). The role of emotions in employees' decisions to report serious wrongdoing. In: Conference Handbook: 7th Industrial and Organisational Psychology Conference (IOP) / 1st Asia Pacific Congress on Work and Organisational Psychology (APCWOP). 7th Australian Industrial and Organisational Psychology Conference (IOP), Adelaide, SA, (60-60). 28 June - 1 July, 2007. Edwards, M. S. R. and Gardner, M. J. (2006). Employee silence and whistle-blowing: The case of 'Dr Death'. In: Academy of Management 2006 Annual Meeting Proceedings. Annual Meetings of the Academy of Management, 11-16 August, 2006, (). Atlanta, Georgia. Marissa Edwards (2011). 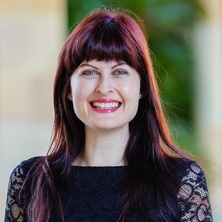 Employee Responses to Wrongdoing in Organisations: The Role of Psychological Processes in Employee Silence and Whistle-blowing PhD Thesis, School of Business, The University of Queensland.